Marketing has revolutionized from the olden ideas of using women and whisky as inspiration to a technology driven marketing platform. Marketing is now digital and social media has virtually taken over marketing. However, the basics are still the same; know your audience and relate to them. Make your target audience feel like they need you. In today’s technologically savvy business environment marketing is evolving daily and to stand out from the crowd every marketer worth their salt has to keep abreast with the constantly changing marketing trends. Constant reinvention is the only way to survive and thrive in the current marketing industry. It no longer stops at being creative, it is also necessary to be technologically creative and versatile. However digital marketing requires careful; evaluation to ensure the digital strategies you adopt do not end up destroying your business. Avoid these 15 digital marketing trends to avoid hurting your business in the long term. Social media vanity metrics such as traffic, number of likes and sharing do not translate to actual sales. Every new social media funnel will not be profitable for your company. Therefore, focus on social media tactics that generate sales and create consumer loyalty and customer retention. One such social media tactics that are widely used is Facebook advertising. As a marketer keep in mind that any marketing you endeavor you carry out online will literally live forever. It will keep on giving your brand value and promote it therefore is not subject to redundancy. Take advantage of globalization and market your brand with the global market in mind. Social media has made it possible to reach the world with a single tweet. Therefore come up with branding strategies that can transverse geographical and racial backgrounds. Companies like Coca Cola have remained relevant globally by using fans to create content that promotes and markets their brand. There are currently several digital marketing platforms such as automated marketing and paid online marketing. Carry out an elaborate survey to ascertain the most appropriate marketing platform that will yield optimal results. Many marketers have made the rookie mistake of focusing on social media platforms and completely ignoring emails. Email is the most crucial element of marketing as it helps marketers establish reliable communication lines with the target audience. Successful marketing is the ability to capture and hold the attention of potential consumers both online and offline. Use a digital marketing technology that enables personalization to ensure it meets the needs of your targeted audience. Unlike in the past when direct mail, print and mass media were the only ways of testing what works. Data has made it possible to determine a digital marketing technique that actually works. Most of online users do so via phone and this number is expected to go up in future. Don’t only focus on other internet platforms but also dedicate yourself in ensuring a good marketing future. Digital marketing automation software is the future of digital marketing. Therefore to be a successful marketer, invest on Hubspot, Marketo and Infusionsoft. Free social media is now almost an ancient concept. 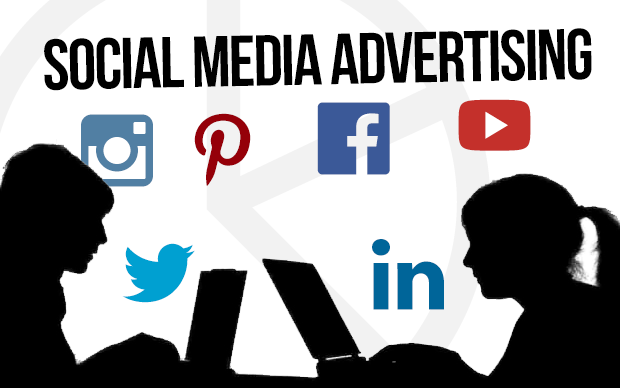 Before choosing paid social media advertising as a digital marketing technique, pay a data scientist to analyze the profitability of using paid advertising using social media – example would be Youtube advertising, Facebook advertising and more. Online influencers include celebrities with millions of social media fans. Research shows that such influencers are fueled to advertise after reimbursement for their endorsements. Unlike in the past when virtual reality was just a concept, it is now a reality that marketers can use to advertise and sell their brand. Wearable technology is now a venture that many brands have opted for. As digital marketing continues to grow, wearable technology is sure to become an overused marketing concept that is not obviously profitable. Technological advancement has made app development affordable. In this current business environment, which runs on smart phones having an app is an added advantage to a marketer.